Māngere Stories Part 1 and Māngere Frequencies were two of the outcomes of a community-based project which involved working with local schools, libraries, Māngere Arts Centre - Ngā Tohu o Uenuku and the wider community. The work produced as a result included exhibitions, soundscapes, poetry and story gathering. The aim of this collaborative project was to activate learning, to facilitate access to information about local landscapes, and to explore the relationship between people and the local landscape. We reached into our existing archives to find over 30 images from our historical photograph collections. 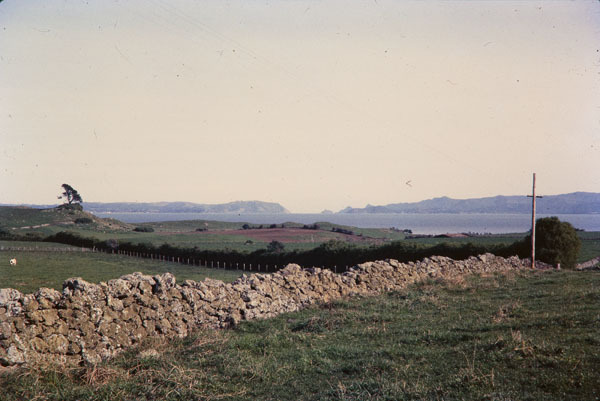 The majority of the images were landscapes of the Māngere area, predominantly of the western most side of Māngere, Ihumatao, Pūkaki and the coastline. See a sample of images from the exhibition here. Ref: Forbes Neil, Drystone walls, Māngere, June 1965, South Auckland Research Centre, Auckland Libraries, Footprints 04929. The images are mostly taken from Auckland Libraries’ Footprints database, with some from our Heritage Images database as well. 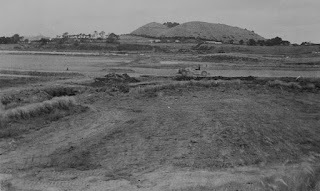 Ref: Vincent Taylor?, Earthworks, Manukau Sewage Purification Works, Māngere, February 1958, South Auckland Research Centre, Auckland Libraries, Footprints 04530. 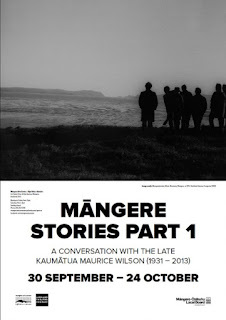 The second component of the exhibition involved playing excerpts from an important oral history recording made in 2004 with local Kaumātua the late Maurice Wilson (1931-2013) with the kind permission of his family. 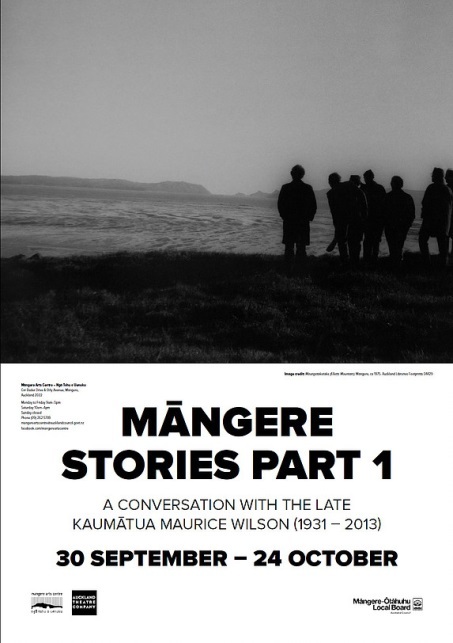 The topics included Maurice’s early life growing up in the Ihumatao area and environmental issues for local iwi. The interview was supplemented with a soundscape which ran underneath created by sound artist Anonymouz. Local school students from Mangere Central School, Mangere Bridge School and Favona Primary School took part in the programme recording sounds from the local environment in Māngere and creating soundscapes. These were complemented with contemporary documentary photographs taken by Tanya Muagututi'a of ATC. 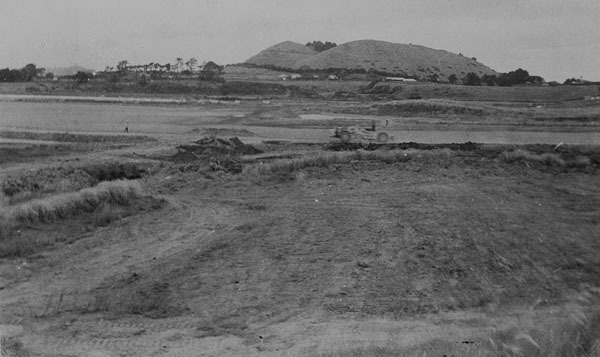 The locations included the Ōtuataua Stonefields Reserve, Māngere Mountain and Favona. 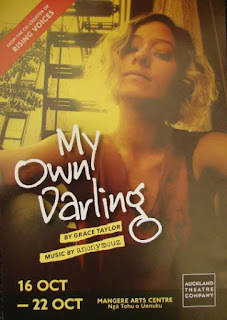 The two exhibitions were run during the season of My Own Darling featuring work by local South Auckland poet Grace Taylor, also featuring a soundscape by Anonymouz. 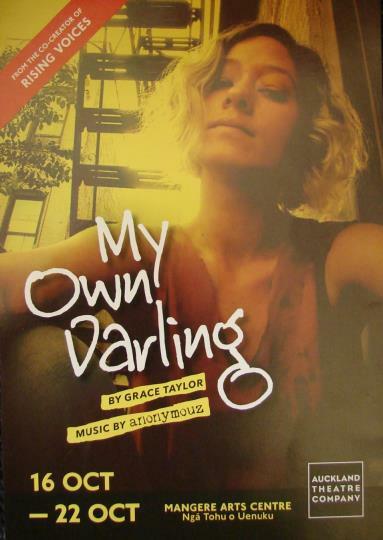 Ref: Ephemera - Performing Arts - My own darling, October 2015, South Auckland Research Centre, Auckland Libraries. Local children worked with Grace Taylor and Rewa Worley at the Māngere Arts Centre - Ngā Tohu o Uenuku, crafting words to create poetry, the Māngere Poem. 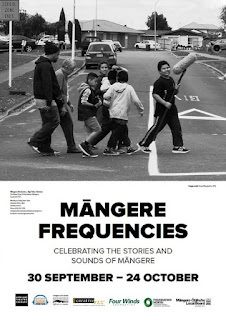 In the school holidays ATC worked with sound artist Anonymouz to run sound workshops with local children at Māngere Town Centre Library, Māngere East Library and the Māngere Arts Centre - Ngā Tohu o Uenuku. Another strand saw new sound recordings gathered with 12 interviewees, local people from Māngere, Māngere Bridge, Māngere East and Favona. These were collected by librarians working at Māngere Town Centre Library and Māngere East Library. It was a project full of life and full of learning that took on a life of its own. These interviews will build on recordings made in the area by Māngere Bridge librarians in 1982, 2004 and 2010. 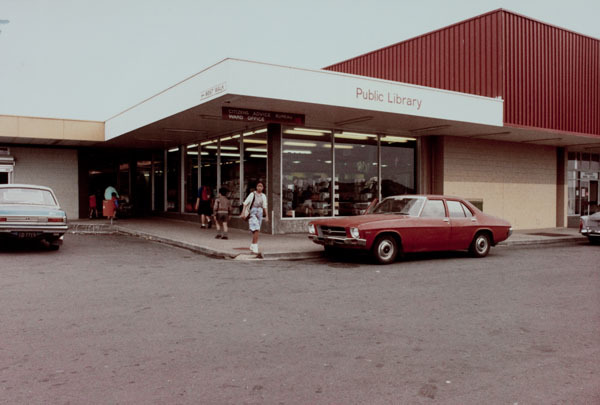 Māngere Town Centre Library has begun their own oral history collecting project known as Memories of Māngere. Ref: Māngere Town Centre Library, October 1983, South Auckland Research Centre, Auckland Libraries, Footprints 02682. There is a growing interest in the history of the South Auckland area which can be seen in the collaboration between MIT and Auckland Museum Taku Tāmaki – Auckland Stories South at MIT Manukau. Last year during the Heritage Festival Archives New Zealand held an exhibition displaying documents, maps, plans and photographs from Māngere Bridge to the area where the airport is now. And on now, there is an exhibition relating to the Ihumātao peninsula: Te Ihu O Mataoho at AUT’s St Paul Street Gallery, running from 22 April to 27 May 2016. The South Auckland Research Centre is well placed to provide high quality, in-depth information resources relating to the history of the area, so please don't hesitate to get in touch with us.